Ola is offering riders 50% off on their first journey if they download the app and hail a ride before the end of April. An Indian ride-hailing service may have reached the UK, but little would we have imagined seeing India’s most common mode of public transport also reach the country. 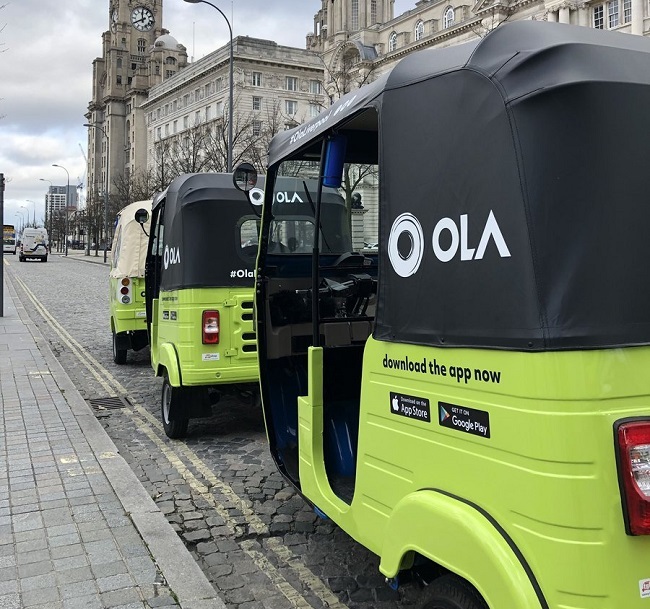 Ola, which recently entered the UK market, has launched an autorickshaw service in Liverpool. A fleet of bright green Bajaj and Piaggio autorickshaws was rolled out on March 22 in Liverpool, and the company reportedly offered customers free rickshaw rides on the first day around the Liverpool city centre. This can be seen as a part of Ola’s bid to take on its biggest rival, Uber, on a global level. According to a report in LiverpoolEcho.uk, the introduction of what are being called ‘tuk tuks’ in Liverpool was part of the launch of Ola’s service in Merseyside. According to the report, Ola has been granted licenses in each of the Merseyside boroughs and it has already brought on board over 500 drivers. “I have been driving passengers around the city today and have really enjoyed the chance to discuss the challenges that the community faces and how we can help with our new technology. We are celebrating bringing more travel and employment choices to Liverpudlians with our ride-hailing app with the help of the community choir,” Financial Express quoted Ben Legg, managing director of Ola UK, as saying. While the free ride offer has ended, Ola is offering riders 50% off on their first journey if they download the app and hail a ride before the end of April. Apart from these attractive ride-hailing options, Ola is reportedly also offering extremely attractive commission rates, charging black cabs 10% commission compared to the 25% commission charged by competitors. Ola launched its services in the UK in Cardiff in August last year. Currently, Ola is present in Bristol, Bath and Exeter. Its launch in Liverpool makes it the fifth city it is entering, as it looks to foray into other cities in the north of England later this year. While confirming the launch of the autorickshaw service in the UK, Ola India declined to comment further.